The following are the highlights of TEMPER Dream run across the world. Dubai & Kuwait: TEMPER is beating several records and climbing towards top grosser among NTR movies. 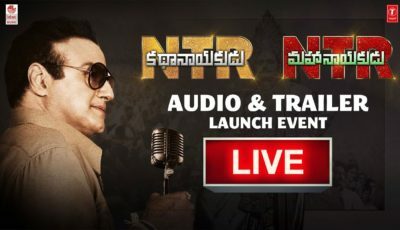 Aus & NZ, It is huge hit, and has become number one movie for NTR within 2 days itself. USA: it has released in ALL DIGITAL with superior quality screens & high end multiplex theatres, and rocking all over USA from the Premiere shows itself. USA: TEMPER has collected third highest among the weekday Premiers, with this NTR has two among the four top weekday Premiere grosser in USA. USA TEMPER grossed over Three quarter millions ($750,000) from Thurs & Saturday itself and become 2nd highest grosser of NTR’s career and posing towards Million Dollars in the first week itself. 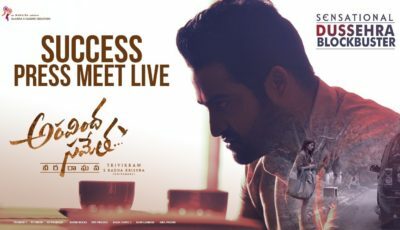 USA – By seeing the response, several locations are already adding extra shows for the BIG Sunday and Monday which also a holiday to all telugu patrons. Great India Films, USA thanking all who have contributed in making TEMPER BIG Successful theatrical release, Eric Bond for Cinemark, Mike for Regal, Roopchand for Carmike, Raman Sanchula for Towne3 circuits and all our exhibitors who are our heart & backbone of this movie, who have put lot of faith and confidence and stood behind us in making TEMPER SUPER DUPER HIT. We also thank our TIGER NTR Garu, Producer Blockbuster Ganesh Babu garu, Director Puri Jagan Garu & our well-wisher Sudhakar Chaganti who have encouraged us in distributing this movie for overseas territory. Our special thanks to all movie lovers who have been watching our movies for the last 10yrs in USA and who are always core & integral part of our success. Pls. watch TEMPER in GOOD QUALITY THEATERS Only for NTRs career best action, Stay away from piracy to get the best feeling of watching TMEPER TEMPER and all other scintillating char buster songs with the best dance moments from NTR & KAJAL.